Jazz Pianist Wayne McConnell set up BJS in January 2010 in order to set about teaching Jazz in a way that is 'vocational'. As a pianist he is in demand, working with many different artists across the country. He works around the Country and Europe with his own trio and quartet and he has played in some of the worlds most prestigious venues. He has played and worked with a host of American musicians including Joe Locke, George Coleman, Ed Thigpen and He writes original music for both bands which has been featured on TV and Radio. Away from playing, Wayne is a dedicated teacher. He devotes his time to teaching (and practicing) and passing along what he has learnt. As well as being the Director of Brighton Jazz School, he also holds a teaching position as a Music Lecturer at the University of Chichester. He also teaches Jazz Piano there. He holds a B.A. (hons) and a Masters Degree in Music. He has had the privilege of studying with many great pianists including US pianist James Williams, UK based Jazz Pianist Chris Ingham and Classical Pianist and Keyboardist Steve Mulzoff. 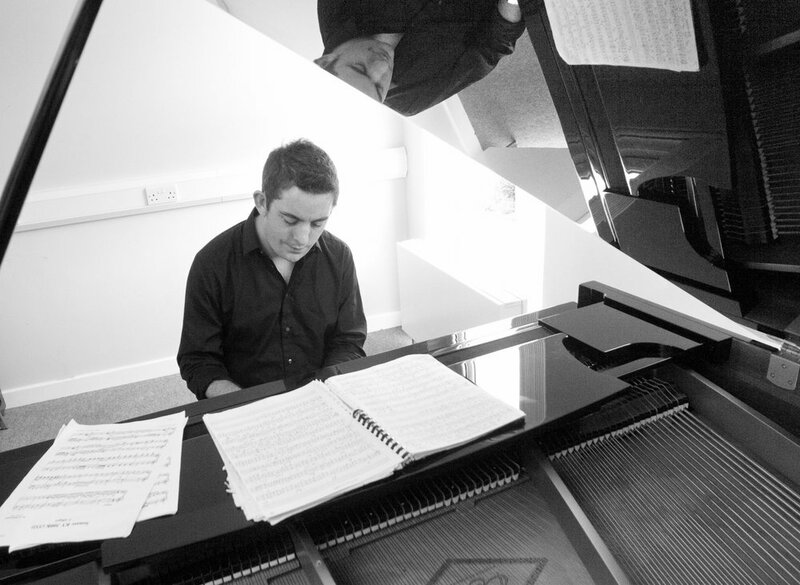 Wayne is completely dedicated to maintaining the art of Jazz and passing on what he has learnt from his great teachers. 'I think of many musicians that I've been fortunate to play with as great teachers. Learning from them by interacting with them musically. I also think of my CD and Vinyl collection as being better than any book on the subject of Jazz. I learnt most of my Jazz Vocabulary straight off the records. I firmly believe that this is the best way to learn how to play this music. Here at Brighton Jazz School, I teach the students how to do that through developing their ears and giving them the opportunity to explore this music with like minded musicians. There is of course some gentle pushing in the right direction...'Jazz music is for everyone, not just musicians or intellectuals, almost everyone who enjoys music will find something they like in Jazz. Jazz welcomes people, it challenges them and it awakens them.